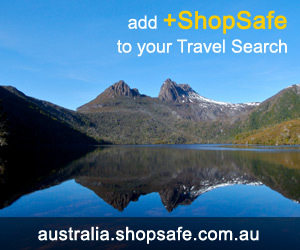 There are 26 shops in the ShopSafe USA Men's Fashion Stores Shopping Category. Shop for Mens business and casual clothing, sports gear, formal wear, golf apparel, shoes and accessories. Classic styles and smart fashion looks, easy sizing guide and free shipping on all orders $175 or more. Eddie Bauer is an outdoor brand that offers signature outerwear - Classic mens fashion in casual denim, chinos and khakis, easy fit pants, jackets and blazers, sweaters, polos, tees and world-class mountaineering gear, Smart casual looks for all year round. Shop online at Adidas for sports and fashion gear. Tops and Jackets, Shirts and Pants, Shorts and Shoes. Must see 'Originals' accessories - bags, watches, hats, socks and eyewear. Fresh, stylish and comfortable - a complete line of smart casual fashion for guys - clothing, footwear, bags, belts, luggage and accessories, as well as travel gear, fly fishing equipment and gifts. Cool, confident and casual fashions for the whole family - This American casual clothing retailer is well known for its trend setting clothing. Shop online for fashion basics, designer picks and the European collection - Jeans, Pants, Shorts, Outerwear, Sweaters, Tees, Shirts and more! Top brands of underwear for men - boxers, briefs, shorts - plus a great range for big guys. Hats & Gloves, Footwear, Jackets and Vests. Tops, Bottoms, Hats, Belts, Bags, Ties and Scarves. Fossil has a well designed range of casual gear for guys of all ages. Seasons must haves along with classic denim to suit most sizes. Ex Officio has amazing clothing for active people. Fast drying, with UV protection, stain and wrinkle resistant and insect repellant! Shop for hats, shirts, pants, underwear, socks and much, much more. Must see travel knits for men, created from natural soy fabrics - fast drying, soft as silk and wrinkle resistant. An extensive selection of designer clothes specializing in polo shirts, knits, wovens, long sleeve, shorts sleeve, t-shirts, pants, denim and much more. Fashionable, high-quality products for every age, body type, and price range. All else failed? Let us help. If you want to see more Men's Fashion Stores here, please e-mail fashion_men@shopsafe.cc. Please do not change the subject line of your email. If the subject line does not contain "Add to ShopSafe Online Shopping" it will not be read.